Walter Isaacson sits down with Republican strategist Frank Luntz to discuss the toxic rhetoric in America’s politics, and why he’s given up hope for a united America. LET US TAKE A STEP BACK AND DIG DEEP INTO WHAT'S DIVIDING AMERICA. REPUBLICAN STRATEGIST FRANK LUTZ HAS BEEN GAUGING THE NATION'S POLITICAL ORGANIZATION FOR DECADES AND ONCE DESCRIBED AS THE NOSTRADAMUS OF POLLSTERS HE IS BEST KNOWN FOR PIONEERING POLITICAL FOCUS GROUPS AND HE SAYS THESE CONVERSATIONS ARE A PAINFUL WAKE-UP CALL NOW TO THE TOXICITY OF THE RED VERSUS BLUE RHETORIC AND TELLS OUR WALTER ISAKSON THAT HE'S GIVEN UP HOPE OF A REALLY UNITED AMERICA. WHY ARE WE SO POLARIZED NOW? IT'S BECAUSE WE SPEAK TO BE HEARD RATHER THAN SPEAKING TO LEARN OR LISTENING TO LEARN. I THINK THAT FOR SO MANY PEOPLE FOR SO LONG THEY HAD NO VOICE. PEOPLE LIKE ME, WE HAD A PLACE TO PUT OUT INFORMATION AND TELEVISION, NEWSPAPERS MEDIA ANYWHERE AND THERE'S THE VAST MAJORITY OF AMERICANS WANTED TO BE HEARD. THEY WERE FRUSTRATED AND THEY FELT FORGOTTEN AND LEFT BEHIND AND WITH THE CURRENT POLITICAL ENVIRONMENT THEY NOW HAVE THE CHANCE TO BE HEARD. THE PROBLEM IS WE'RE NOT LEARNING ANYTHING. WE'RE NOT SEEING LIFE IN ALL ITS GREATNESS AND ALL WE ARE DOING IS FINDING WAYS TO DEMONIZE EACH OTHER OR WORSE, DEHUMANIZE EACH OTHER AND THE 'D' WORDS AND WE'RE ALL DOING IT ON THE RIGHT, ON THE LEFT, IN THE MEDIA AND IN CULTURE AND ENTERTAINMENT. ANY TIME YOU SHOULD BE CAMERA IN FRONT OF YOU WATCH THE LANGUAGE THAT'S BEING USED AND IT IS SO UGLY AND POLARIZING AND YOU AND I HAVE KNOWN EACH OTHER FOR A WHILE AND NOT ONLY HAS IT NEVER BEEN THIS BAD, BUT THE AMERICA THAT YOU KNEW AND THE AMERICA THAT YOU CELEBRATED AND THE GREAT BOOKS THAT YOU WROTE OF THESE GREAT PEOPLE THAT'S NOT THE COUNTRY WE ARE RIGHT NOW AND IT'S NOT -- IT IS NOT THAT WE'RE HEADING IN THAT DIRECTION. WALTER, I'M TELLING YOU, I'M HERE. IF YOU HEARD WHAT I HEAR AND IF YOU WENT TO THE SESSIONS THAT I MODERATE AND LISTEN TO THE PEOPLE UNEDITED AND UNFETTERED, IT MAKES YOU WANT TO CRY. YOU WATCH PEOPLE JUST ERUPT AGAINST EACH OTHER. IN FACT, CAN YOU SHOW A CLIP? RIGHT THERE IS THE PROBLEM. RIGHT THERE, YOUR ATTITUDE IS THE PROBLEM. I DON'T WANT SOMEBODY TELLING ME THAT MY SCHOOLS HAVE TO HAVE PRAYER IN SCHOOL. GOD CHOOSES THE COLOR OF OUR SKIN. IF YOU DON'T BELIEVE THAT -- THEN WHO IS MAKING THE CHOICES? YOU TRY AND FORCE IT ON EVERYBODY ELSE. YOU ARE MAKING A LOT OF GROSS ASSUMPTIONS. I'M NOT MAKING GROSS ASSUMPTIONS. I AM LOOKING AT MIKE PENCE WHO SIGNED LGBT IN INDIANA. IT ALL COMES DOWN TO LISTENING TO WHAT THE OTHER PERSON HAS TO SAY. OPEN UP YOUR EARS AND NOT YOUR MOUTH AND LISTEN TO WHAT OTHER PEOPLE HAVE TO SAY AND THEN LISTEN TO WHAT'S GOING ON. EVERYBODY SAYING TRUMP IS AGGRESSIVE, BRUTAL AND STUFF. TRUMP WILL GET DOWN IN THE DIRT AND WORK WITH YOU. YOU WANT RESPECT, BUT YOU HAVE A PRESIDENT WHEN TAKES ON WOMEN, MINORITIES, EVERYTHING BUT WHITE MALES. AND YOU GUYS CAN'T HANDLE THAT! MY PARENTS -- WHEN I WAS A KID I USED TO HEAR IN HEBREW SCHOOL. [ SPEAKING FOREIGN LANGUAGE ] WHICH IS BASICALLY, SHUT UP AND LISTEN. YOU SAW THE ANGER AND THOSE AREN'T KIDS. THEY'RE PEOPLE OLDER THAN US. THESE ARE PEOPLE IN THEIR 70s AND IF THEY BEHAVE THAT WAY THEN DON'T YOU THINK IN THE PEOPLE IN THEIR 40s WILL FOLLOW THEM AND PEOPLE IN THEIR TEENS WILL FOLLOW THOSE? DON'T YOU THINK THE FOCUS GROUPS AND THE MICROTARGETING AND WHATEVER HAVE HELPED AND YOU'VE BEEN IN THE LEAD AND HAVE HELPED POLARIZE OUR SOCIETY. THE PURPOSE OF THE FOCUS GROUPS IS TO BRING ATTENTION TO HOW PEOPLE THINK AND FEEL IS TO GIVE THEM A VOICE FOR THREE HOURS AND TO PUT THEM ON TELEVISION. I KNOW YOU HAVE ANOTHER ONE THERE AND THE ONE YOU'RE ABOUT TO PULL UP IS ONE OF THE COOLEST OF ALL. I RESPECT EVERYBODY'S POINT OF VIEW, BUT NOT TO GET INTO ARGUMENTS I USUALLY LIKE TO STAY WITH PEOPLE WHO HAVE MORE OR LESS THE SAME POINT OF VIEW AS I DO. IN 2018 IT IS BECAUSE ANY TIME I DISAGREE WITH SOMEBODY I NOTICE THAT THEY MAKE ENEMIES WITH ME. IT'S NOT ME NOT TALKING TO THEM. THAT'S THE FIRST-GENERATION -- THAT WHOLE GROUP WERE FIRST-GENERATION IMMIGRANTS FROM COUNTRIES ALL ACROSS THE GLOBE AND THEY WERE THE MOST HOPEFUL AND THE MOSTMENT ON MYSTIC AND IF THEY WERE RIGHT HERE RID NOW AND I WOULD LOVE TO BRING THEIR OPINIONS TO YOUR VIEWERS, THEY WOULD TELL YOU THAT AMERICA IS STILL A GREAT COUNTRY AND THEY HAVE THE OPPORTUNITY AND THE HOPE AND BETTER LIFE AND THEY WOULD CRITICIZE THE MEANNESS AND THE BITTERNESS THAT PEOPLE HAVE, BUT YOU ONLY GET THAT FROM AN OUTSIDER. YOU DON'T GET THAT -- THIS IS HOW YOU'VE GROWN UP. YOU COMPARE THE WAY WE ARE TODAY TO THE WAY WE WERE 20 OR 30 YEARS AGO. SO TO FINISH YOUR POINT BECAUSE IT'S A FAIR POINT, I THOUGHT THAT THE PURPOSE OF THESE FOCUS GROUPS IN THE SESSIONS WAS TO EXPLAIN THE ANGER, WAS TO EXPLAIN THE FRUSTRATION AND WHAT IT ENDED UP DOING, UNFORTUNATELY, TRAGICALLY IS FEEDING IT. WHEN THEY SEE PEOPLE BEHAVING THAT WAY ON TELEVISION THEY START BEHAVING THAT WAY THEMSELVES AND I HATE THAT. WHAT ABOUT THE MEDIA AND THE FILTER BUBBLE WE HAVE WHERE WE'RE ALL GOING TO OUR CORNER OF THE BLOGOSPHERE OR OUR END OF THE TALK RADIO DIAL OR OUR CABLE NEWS CHANNEL. IN THE STUDIES THAT I'VE DONE, I REALIZE AND THIS IS REALLY TRAGIC, THAT WE NOW GET OUR NEWS TO AFFIRM US RATHER THAN INFORM US. IF YOU TELL ME YOU READ 'THE WALL WALL STREET JOURNAL' FIRST, I WILL ASSUME THAT YOU ARE ON THE RIGHT SIDE OF THE SPECTRUM. IF YOU READ THE NEW YORK TIMES, YOU ARE ON THE LEFT SIDE OF THE SPECTRUM. THERE ARE CONSERVATIVES WHO READ THE TIMES, BUT WE'RE NOT CROSSING PATHS ANYMORE. WE'RE NOT COLLECTING THE SAME INFORMATION ANYMORE. CNN, VERY FEW REPUBLICANS WATCH CNN. VERY FEW DEMOCRATS WATCH FOX. IT SHOULDN'T BE THAT WAY AND THE MORE POLARIZED OUR MEDIA, THE MORE LIKELY THAT THE PUBLIC ITSELF BECOMES MORE POLARIZED. DO YOU THINK PERHAPS THIS POLARIZED DISCOURSE IS BECAUSE THE STAKES ARE VERY HIGH AND THERE'S A REASON PEOPLE ARE MAD? THAT'S THE EXCUSE I'VE GOTTEN, BUT WE'VE ALWAYS HAD A WAY. LOOK, WE HAD THIS IN 1848 TO 1859 AND WE KNOW WHAT HAPPENED IN THIS COUNTRY AND SO MANY PEOPLE DIED. WE HAD THE SAME THING GLOBALLY IN 1936 TO 1939 AND THEY DIDN'T FIGURE IT OUT AND TENS OF MILLIONS OF PEOPLE DIED. THE STAKES ARE NO LESS HIGH NOW THAN THEY WERE IN 1860 AND THAN THEY WERE IN 1939 AND I KNOW HOW IT WORKS OUT BECAUSE I READ TOO MUCH, BECAUSE I LEARN TOO MUCH. I'VE READ THE END OF THE BOOK, AND YOU READ -- WHEN YOU -- WHEN YOU READ THE END OF 1984, WHAT HAS HE DONE? I DON'T KNOW -- I WASN'T RAISED -- I DON'T KNOW ANY OTHER WAY, BUT TO FIGHT IT AND I AM SO TIRED NOW. JUST COME TO THESE GROUPS AND LISTEN TO AMERICANS AND IT'S PAINFUL NOW. BUT YOU KNOW, WE CAME THROUGH 1939. WE CAME THROUGH CIVIL WAR. MARTIN LUTHER KING DID NOT. HOW MANY PEOPLE WERE KILLED -- IT WAS THE WORST YEAR OF OUR TIME AND I THINK 2020 CAN BE 1968 ALL OVER AGAIN. AMERICA'S POLITICAL SYSTEM HAS ALWAYS, SO FAR, HAD A GYROSCOPE. IS BRITAIN STILL THE GREAT POWER IT WAS? IS FRANCE STILL THE GREAT POWER? PORTUGAL USED TO HAVE THE MOST INCREDIBLE NAVY. IT'S MEANINGLESS TODAY WITH ALL DUE RESPECT TO THE PORTUGUESE. RUSSIA HAS THIS GREAT EMPIRE THAT'S COME AND GONE. HOW MANY EMPIRE, THE EGYPTIANS AND THE ROMANS. HOW MANY EMPIRES HAVE COME AND GONE, AND I REALLY DON'T WANT TO BE AROUND TO SEE THE END OF MINE. YOU TALK ABOUT SOME OF THE REALLY TOUGH TIMES AND ONE OF THE THINGS THAT HAPPENED IN EACH TIME WAS THE EMERGENCE OF A NEW MOVEMENT. SOMETIMES A NEW PARTY AND SOMETIMES WHETHER IT BE TEDDY ROOSEVELT OR ABRAHAM LINCOLN OR IN SOME WAYS THE NEW DEAL COALITION COMES ON. DO YOU THINK THERE CAN BE A RE-ALIGNMENT OR EVEN A THIRD PARTY IN AMERICAN POLITICS THAT SAYS WE'RE ABOUT TO GO OFF A CLIFF? YOU JUST DESCRIBED HOWARD SCHULTZ. THIS IS A GUY WHO GREW UP IN ABJECT POVERTY AND GREW UP HUNGRY. YOU'D THINK HE'D BE A HERO OF THE DEMOCRATIC PARTY, THAT HE STRUGGLED, HE SUCCEEDED AND HE GAVE THAT SUCCESS TO OTHERS AND HE GAVE HIS PEOPLE HEALTH CARE LONG BEFORE WALMART EVER DID. HE GAVE HIS PEOPLE THE ABILITY TO BUY INTO THE COMPANY LONG BEFORE MOST WALL STREET COMPANIES EVER DID. HE'S NOW PROVIDING AN EDUCATION BENEFIT BEFORE ANYONE IS. HE GAVE BACK AND HE WAS DECIMATED BY THEM. HOW ARE YOU SUPPOSED TO CHALLENGE THIS WHEN THE VERY PEOPLE WHO SHOULD BE APPLAUDING YOUR SUCCESS ARE THE ONES YELLING AT YOU. IN AMERICA IT WAS NEVER EVIL TO BE SUCCESSFUL AS LONG AS YOU GAVE BACK TO YOUR COMMUNITY AND NOW YOU HAVE KIDS WHO SCREAM AND PROTEST AT HIM, YOU BILLIONAIRE, GO BACK TO DAVOS. THIS MAN HAS DONE MORE FOR THE PEOPLE WHO WORK FOR HIM THAN ANY OTHER EMPLOYER AND HE IS A BILLIONAIRE AND HE'S SUCCESSFUL AND HE'S GIVEN BACK AND YET HE HAS SCREAMED OUT WHEREVER HE GOES. I HAVE NO FAITH BECAUSE SOMEONE LIKE THAT SHOULD HAVE THAT CAPABILITY. THERE ARE PEOPLE IN THE DEMOCRATIC PARTY. ONE OF THE BEST MAYORS EVER IN THIS COUNTRY. I'M PRAYING THAT HE RUNS FOR OFFICE BECAUSE AT THE SAME TOKEN HE TAKES ON THE CONFEDERATE STATUES BECAUSE THEY'RE OFFENSIVE AND HE SAYS TO THE TEACHERS UNION YOU HAVE FAILED THE EDUCATION SYSTEM AND I WANT TO TURN THEM TO CHARTER SCHOOLS. PEOPLE LIKE MICHAEL BENNETT AND I DON'T KNOW WHETHER HE RUNS AND HE'S WILLING TO CHALLENGE THE PRESIDENT'S BUDGET AND OBAMA'S BUDGET BECAUSE IT CONTRIBUTED TOO MUCH TO THE DEFICIT, TO THE DEBT AT THE VERY MOMENT THAT HE'S CHAIRMAN OF THE COMMITTEE. TIM SCOTT WHO HAS A HEART AS BIG AS THIS ENTIRE STUDIO AND CANNOT SAY A NEGATIVE WORD BECAUSE HE THINKS IT'S WRONG. IT IS NOT -- IT IS NOT JUST PART OF HIM, BUT IT'S NOT WHO HE BELIEVES WE SHOULD BE OR BEN SASSE WHO HAS AN INTELLECTUAL APPROACH. THERE ARE AMAZING PEOPLE OUT THERE, BUT I THINK THE SYSTEM WILL BREAK ALL OF THEM. BUT LET ME ASK YOU, SUPPOSE YOU HAD A PRAGMATIC DEMOCRAT, ONE WHO SAID I'M GOING TO TRY TO WORK AND GET THINGS DONE, TAKE A MITCH LANDRIEU, TAKE A MICHAEL BENNETT, THE TWO YOU MENTIONED. HOW WOULD YOU HAVE THEM RUN? WE ACTUALLY HAD ONE AND HIS NAME IS JOHN McCAIN AND HE WANTED TO CHOOSE JOE LIEBERMAN. WHAT AN AMAZING THING THAT WOULD HAVE BEEN. McCAIN, LIEBERMAN AND YOU KNOW WHAT HAPPENED. YOU MAY HAVE WRITTEN ABOUT WHAT HAPPENED. McCAIN WAS DESTROYED AND WE TOLD HIM IT WOULD BLOCK YOUR NOMINATION IF YOU WOULD DO THIS AND WE WERE EVEN MORE HYPED UP AND MORE PARTISAN TODAY, AND YOU CAN'T WISH. I WISH FOR THEM TO HAVE THE COURAGE OF THEIR CONVICTIONS AND I DO NOT WISH THEM TO DESTROY THEIR LIVES. IT'S NOT RIGHT FOR US TO PUSH THEM INTO THAT. FIRST OF ALL, WHY DON'T YOU THEN JUST WALK AWAY FROM IT ALL OR, SECONDLY, COULD YOU FIND A NEW PURPOSE IN HOW YOU CAN DIRECT YOUR POLITICAL TALENT TO DO SOMETHING DIFFERENT? I HAVE A PURPOSE AND IT IS THE NEXT GENERATION. I'M TEACHING AT NYU ABU DHABI. NOT NY, BUT NYU ABU DHABI. I'M TAKING STUDENTS TO BRUSSELS AT THE EXACT MOMENT OF BREXIT. I TOOK THEM TO WASHINGTON AND NEW YORK AND INTRODUCED THEM TO CONFLICTS IN AMERICA. THE ONLY HOPE THAT I HAVE. THE REASON WHY I DO KEEP GOING IS BECAUSE THAT CAMPUS IS THE MOST GLOBAL IN THE FACE OF THE EARTH AND EVERY DAY THEY SOLVE PROBLEMS. EVERY DAY THEY ADDRESS CONFLICTS. THE RUSSIAN STUDENTS' BEST FRIEND IS UKRAINIAN AND THEY'RE ROOMMATES. YOU HAVE JEWISH STUDENTS WHO HAVE CLOSE RELATIONSHIPS WITH PALESTINIANS AND OTHER ARABS. YOU HAVE CHINESE STUDENTS WHO ARE CLOSE, INCREDIBLE FRIENDS WITH COUNTRIES THAT THEY HAVE INVADED IN MY LIFETIME. OUR ONLY HOPE, OUR ONLY HOPE IS THAT WE TEACH CHILDREN TO LOVE, NOT HATE, IS THAT WE TEACH THEM NOT TOLERANCE BECAUSE THAT'S THE LOWEST LEVEL, THAT WE TEACH THEM RESPECT AND CIVILITY AND DECENCY AND THAT WE DO IT NOT JUST IN AMERICA, BUT ON A GLOBAL SCALE. IF WE CAN WRING OUT THIS HATE IN THAT GENERATION, THIS WORLD SURVIVES AND AMERICA PROSPERS. FRANK, THANK YOU FOR BEING WITH US. I APOLOGIZE, BUT THANK YOU FOR HAVING ME. 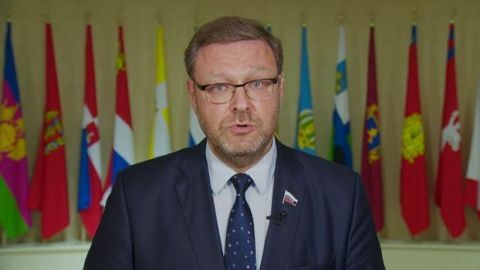 Russian Senator Konstantin Kosachev shares Moscow’s reaction to the Mueller investigation’s findings. 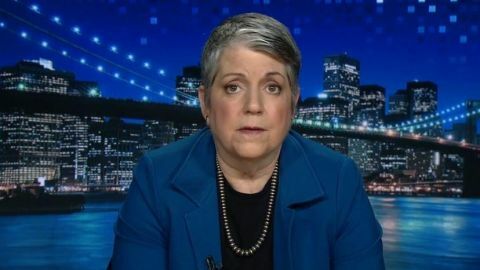 Janet Napolitano on whether America’s 2020 elections will be secure. 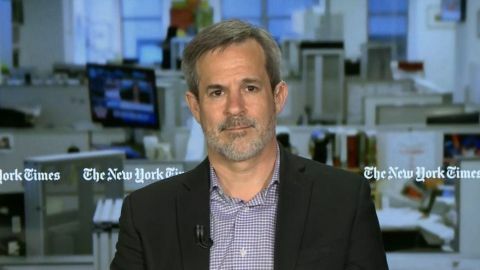 And Jonathan Weisman, author of “(((Semitism))): Being Jewish in the Age of Trump,” on the the partisan rift over US-Israel ties. 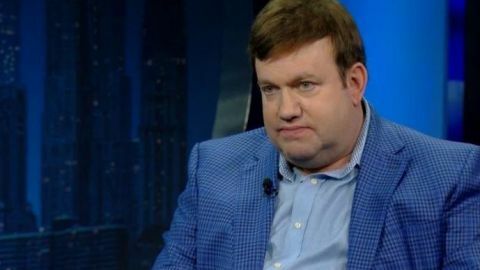 Republican strategist Frank Luntz joins Walter Isaacson to discuss America’s toxic politics.